All Master Clubs churches have been mailed a Charter Renewal Application. All of your information, as we have it on record, has been included for your ease of processing. If you find that any information is either incorrect or needs to be updated, please make your notes on the application. If you have either misplaced or did not receive an application, you may download a blank copy below. As always, you may call 800-451-5023 with any questions you may have. Use this file in conjunction with the EvangeCube. You can order your own EvangeCube from Master Ministries (Item 71623). When your Clubbers finish their project workbooks, they deserve something extra special for their year-long effort and dedication. 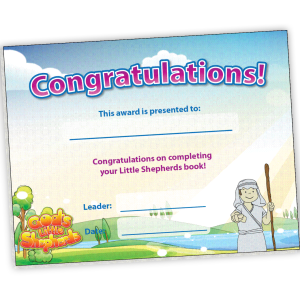 Master Clubs has designed these beautiful year-end certificates for your graduating Clubbers. 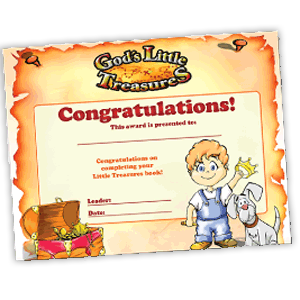 You can distribute these special certificates at your year-end event or party! You can follow the links below to our online store. These glossy-full color certificates are presentation quality and are 8.5x11. They can be purchased in our online store. This polo shirt is the most comfortable shirt we offer. It's our personal favorite. You will love this royal blue polo with "Master Clubs" embroidered on the front. This shirt is a Sport-Tek® - Dri-Mesh™ Sport Shirt with double mesh cooling technology. 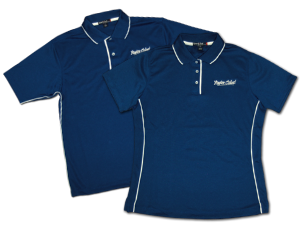 Quality: 100% poly double mesh; double-needle stitching on armholes, shoulders and bottom hem; contrast side piping detail; hemmed sleeves; and the Ladies polo is tailored. Take a look at this item at our online store.